I am finally going to have my first ever giveaway as a thank you to those all that have supported this blog! I hope that you will continue to shower love on this blog, Urhappybunnie. New and old followers, I am very grateful to all of you. I am going to put up the giveaway details next week so stay tuned! So excited! 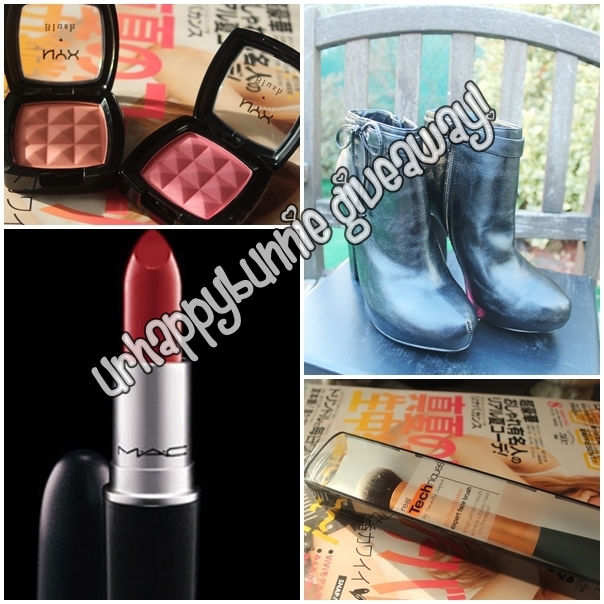 This will be the first time I'm joining an online giveaway contest! Can't wait!